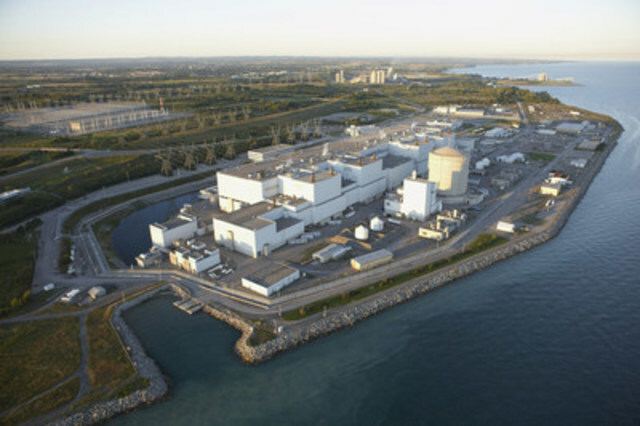 CLARINGTON, ON, June 23, 2016 /CNW/ - An international industry assessment has recognised Ontario Power Generation's (OPG) Darlington Nuclear Generating Station as one of the safest and best performing nuclear stations in the world for the third time in a row. It is the first time a plant outside the United States has received the recognition three times. "OPG is proud our staff has been recognized for their unwavering dedication to safety and commitment to continued improvement in nuclear operational excellence," said Jeff Lyash, OPG President and CEO. The assessment team recently evaluated Darlington Nuclear against standards for operational excellence applied to nuclear plants around the world, and recognized a number of strengths, including management and leadership, operator knowledge and skills, and equipment performance and condition. "This peer review shows clearly that Darlington operates to world standards of operations and is in excellent shape headed into the refurbishment that begins in October," Lyash added. The Darlington Nuclear Generating Station, which currently powers about one in five homes in Ontario, is more than 99 per cent free of greenhouse gas and smog emissions. The plant will undergo a refurbishment beginning in October that will provide Ontario with clean, reliable power beyond 2055.